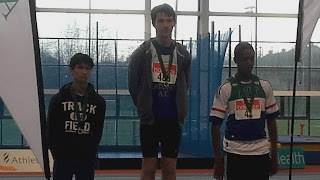 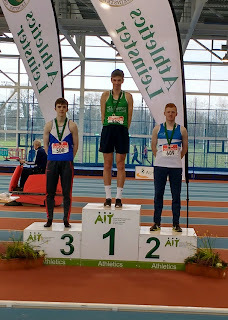 Ratoath AC had 25 athletes competing at day 3 of the Leinster indoors on Saturday in Athlone and came away with 9 medals in both track and field events. 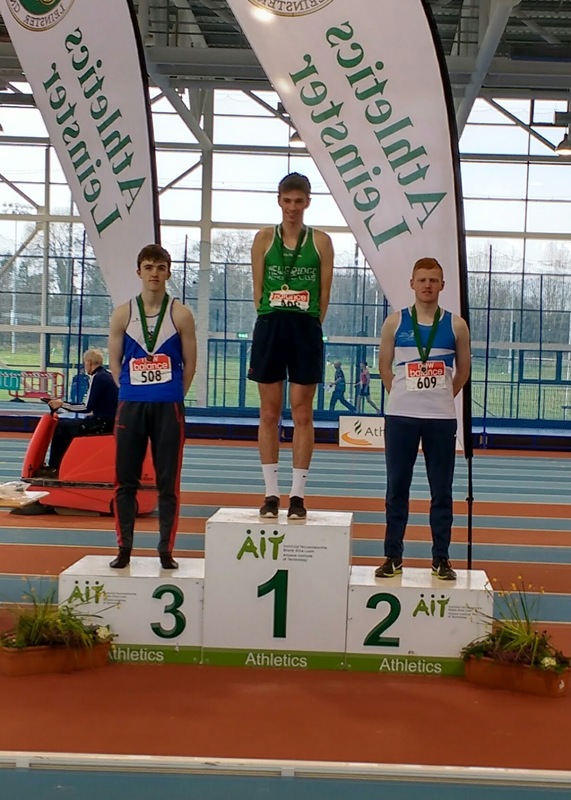 Rafa Mcaffery and Matthew Buckley won gold and bronze in the u15 boy’s long jump and swapped places on the podium for the u15 boys 60m with Matthew winning gold and Rafa bronze. 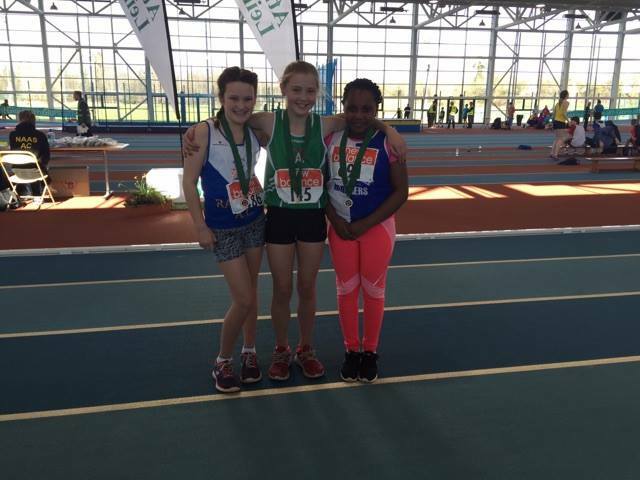 Laura Kelly finished 2nd in the u12 girl’s high jump, Sophie Quinn 3rd and Niamh Murray took bronze in the u12 girls shot putt. 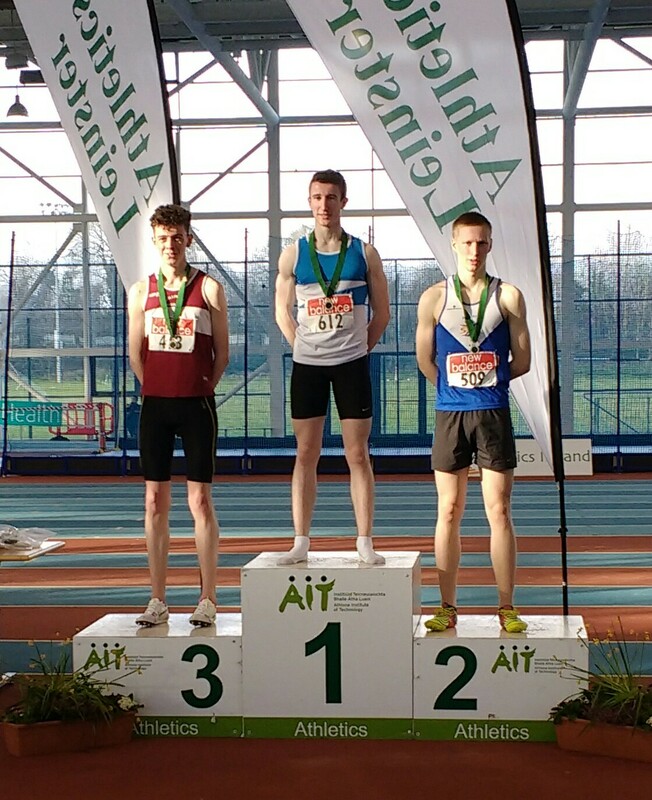 Brian Kiernan and Peter Kilgannon medalled in the 400m with Brian finishing 3rd in the u18 boys 400m and Peter 2nd in the u19 400m. 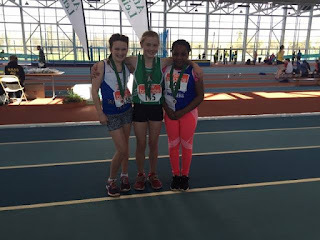 Great running also from our sprinters, Aobh Forde finished 8th in the u12 girls 60m final, Eno Okome made her first 60m Leinster semi in the u13 girls 60m, Aoife Rutherford finished 6th in the u14 girls final with a great time of 8.4s, Emma O’ Connell made the semi with a big pb of 8.6s. 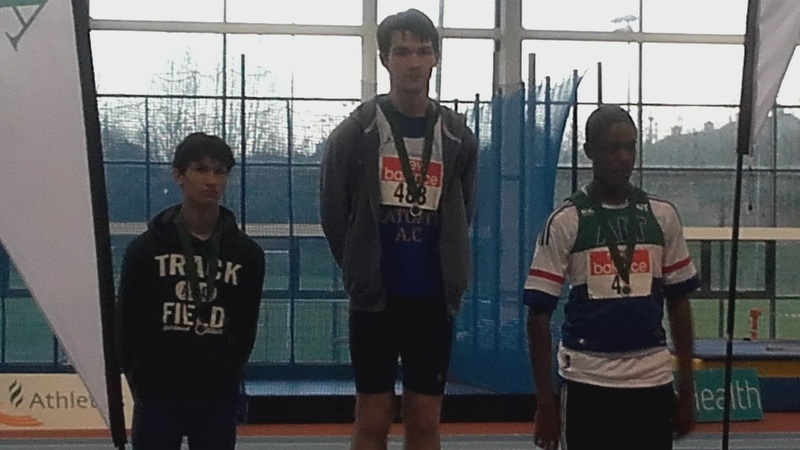 Emma Coroner was unlucky to finish 4th in the u15 60m final and 4th in the long jump. 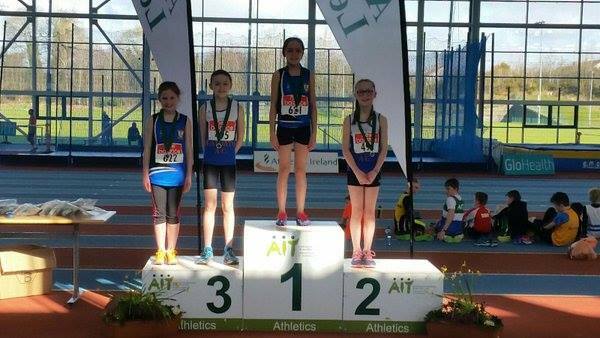 Aine Cooney and Ivie Okome finished 4th and 5th in the u16 girls final both running new pb’s. 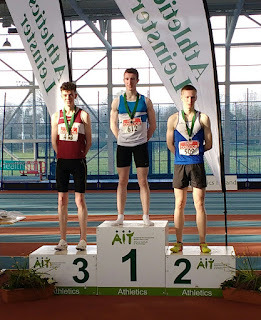 Aine breaking the Senior women’s club record for 60m running 8.17s. Great performances also form Lily Nannery, Amy Forde, Sophie Greene, Eoin Kane, Elizabeth Buckley, Blessing Duruanyawn, Maria Rogers, Daragh Casey, Kevin Conway and Zara Kane.